Made by Wendt, Joachim Matthias in Adelaide, South Australia, Australia, c1880-97. 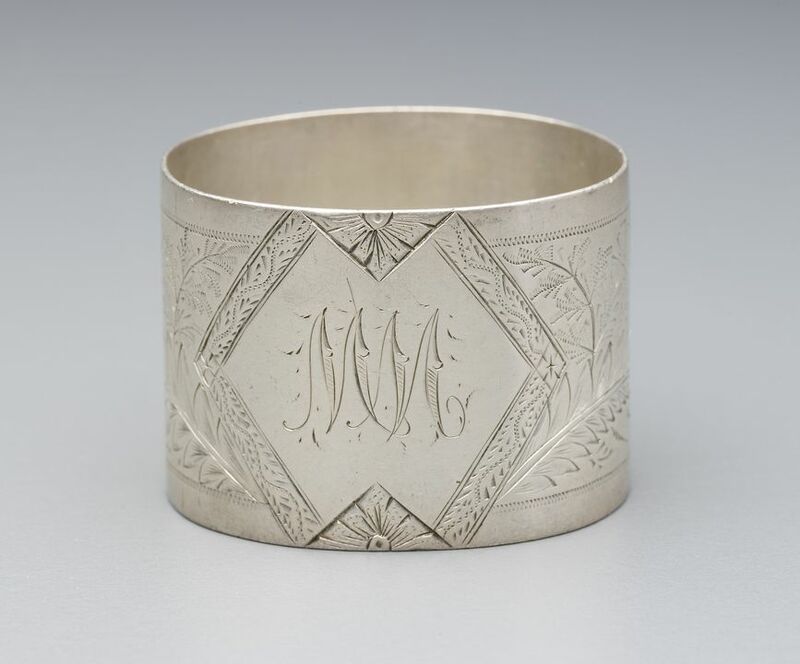 Circular band with ornate engraved decoration on one side of two conjoined diamonds enclosing initials WW with floral frame each side. Engraved boarder around top and bottom edge. Jochim Mathias Wendt (1830-1917) arrived in Australia in 1854. He established Wendt Jewellers in Adelaide in 1854 and began a career of over 30 years as a leading retailer and manufacturer of jewellery and silver. By 1887 Wendt's Rundle Street business was employing 12 craftspeople and assistants. Wendt retired in 1903 and the business was taken over by his Jule and stepson Herman Koeppen Wendt.